Do you need a napkin? Because I sure as hell did when I first saw this look, and I kinda need it again! The combination of colors and nailart is just so pretty with this look. 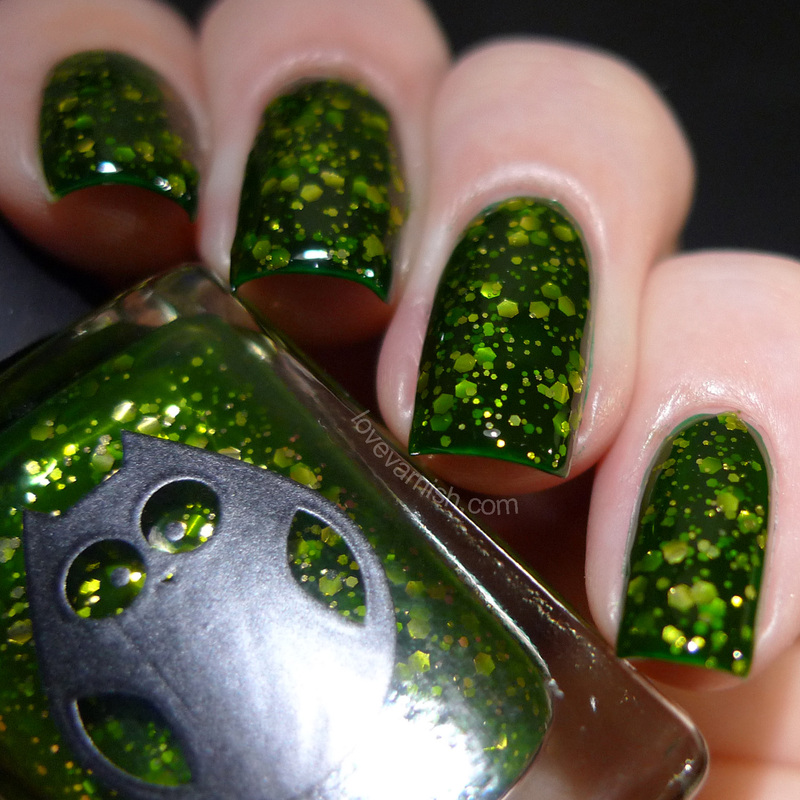 And in the original post there's also a fun swatch of Shimmer Tiffany included, so take a look! HARE polishes are always these fun, unique, quirky blends of glitter and other pretty ingredients, and the Jackalopes series hold all those shades that are too pretty not to be released but don't fit a certain collection. This is Perfect Storm, there's another shade included in the original post! 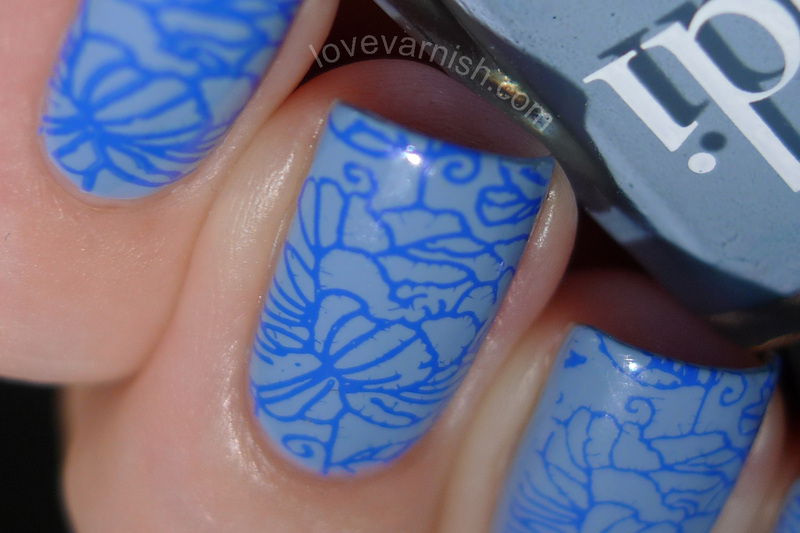 Last year I reviewed a few of the Mundo de Uñas stamping shades, and this is Iris. Isn't a lovely tone on tone look with the creme base? Aaah, white based neon splatter, always a fun look :D The Maybelline Bleached Neons might have been one of the most popular drugstore collections last year, unfortunately only 4 shades made it to Europe but I managed to grab 2 and used them for this look :-). Anna Gorelova is one of the bestest bloggers out there right now I think. She manages to make everything look flawless and perfect in her breathtaking pictures, each swatch session becomes a full photo spread with her. She has done a few collections now with Dance Legend and all polishes are fun and unique! I love this flashback idea!!! Good way to unearth posts that may have been forgotten about! I have to say I love the splatter nail art done with the Bleached Neons! OMG...that Hare is stunning! 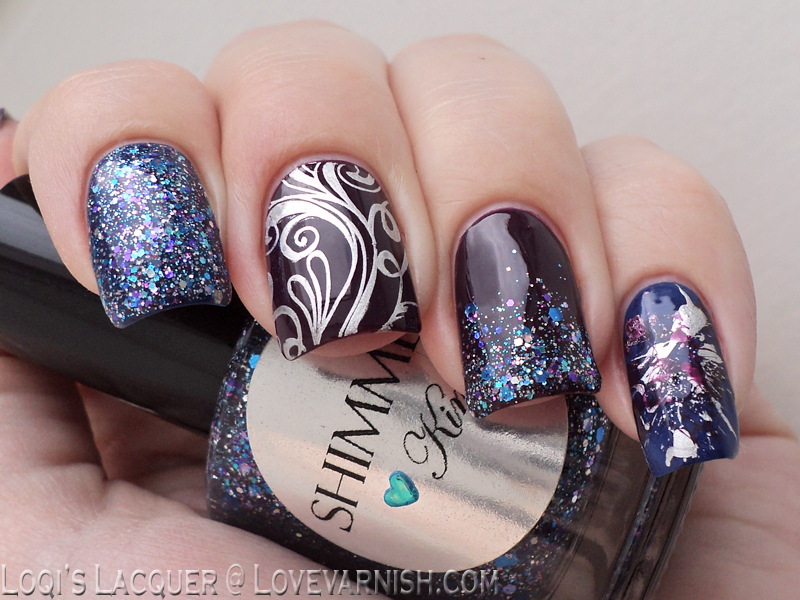 I just love polishes with those deep and dark jewel tones. I love the splatter mani too!